By CMC Antigua Observer: GEORGETOWN, Guyana, CMC – Haiti has made its first shipment of goods under a temporary non-reciprocal preferential basis with other Caribbean Community (CARICOM) countries to Grenada, according to a statement released by the Guyana-based CARICOM Secretariat. It said the shipment to St. George’s was made last week. CARICOM Assistant Secretary-General Trade and Economic Development, Ambassador Irwin LaRocque, hailed the development as “a positive one by Haiti to become a part of CARICOM’s trading arrangements”. He also lauded the Community’s non-reciprocal access to Haiti as a sign of their commitment to the French speaking CARICOM member state’s reconstruction through private sector engagement. The shipment of items, including wall decorations, candle and napkin holders, and wind chimes, was made under the special arrangement agreed by the Council of Trade and Economic Development (COTED) last year and endorsed by CARICOM Heads of Government. Haiti made the request for the arrangement in May 2010 at the 13th Meeting of the Council for Trade and Economic Development (COTED) in Georgetown. The concession became effective from 1 January 2011, and Haiti indicated that the date of implementation of the decision was 14 March 2011. Haiti was preparing for participation in the Trade in Goods regime of the CARICOM Single Market (CSM) when the earthquake struck in January 2010, killing an estimated 300,000 people and leaving more than a million others homeless. 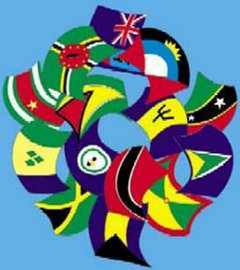 Meanwhile, a three day national consultation focusing on CARICOM external trade agreements and negotiations is ending in Port au Prince on Friday. It was organised by the Haitian Bureau de Coordination et de Suivi des Accords de la CARICOM and the CARICOM Secretariat, including the Office of Trade Negotiations, the EPA Implementation Unit and the Office of the CARICOM-Haiti Mission. “Recognising that trade will be an important component in Haiti’s recovery and development planning, the consultations are considered to be an important step towards helping Haiti to maximize its trade opportunities and to shape strategically its relationships with its global trade partners,” the CARICOM Secretariat said. The Secretariat said that the consultations will facilitate discussion on shaping the trading opportunities for Haitian goods and services within the Canadian market within the context of the negotiation of a CARICOM-Canada Trade and Development Agreement. “ With negotiations under the Doha Development Agenda in a state of uncertainty, the participants will discuss in some detail the implications of the state of play of the Doha Round, particularly with respect to the safeguarding of Haiti’s interests as a least developed country (LDC),” the CARICOM Secretariat added.